Exercise, along with monitored diet, is the best way to achieving your holistic fitness goals. Complying with the regular exercise routine is much easier when you don’t feel the sense of diet-deprivation and self-restriction. 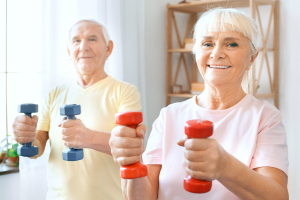 Beyond such health practices, A Plus Sitting Service believes that enjoying while exercising motivates our clients to adhere more to their exercise schedule and method by offering various exercise activities. Do you want to avail of our exciting exercise programs? To begin with, kindly contact us and set an appointment with us.